The world of metal and hard rock is full of outlandish folklore, tall tales, and other sales-boosting exaggerations. However, a few truly twisted musicians cut through the swaths of harmless debauchers and womanizing "bad boys" to show us that sometimes, it's not all just in good fun. 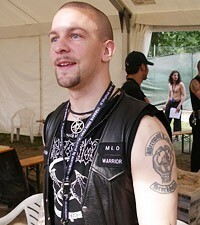 The singer for Norwegian black metal O.G. 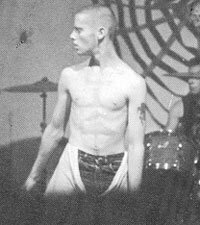 's Mayhem reportedly buried his clothes and dug them out just before performing to get that rotting, corpse-y smell onstage. According to the Guardian, Ohlin once found a dead crow which he kept in a plastic bag that he would sniff before going onstage to "sing with the stench of death in his nostrils." At the age of 22, the singer was found dead of a self-inflicted gunshot wound and slit wrists. His suicide note apologized for "all the blood." If you can name it, chances are that GG Allin (born, no joke, Jesus Christ Allin to fanatical Christian parents) probably injected, snorted, drank, or defecated on it. Live shows often involved Allin urinating, eating his own feces, and beating up female audience members. Allin also visited a fan named John Wayne Gacy in prison, where the serial killer painted a full-color portrait of him. 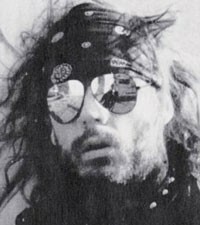 Allin released a number of poorly-reviewed albums and toured with several backing bands before his fatal heroin overdose at the age of 36. 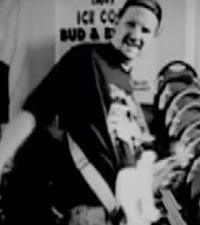 In the documentary film 'Hated,' Allin stated that if he wasn't a musician he would have been a "serial killer or mass murderer." In 1986, Kurt Struebing of Washington thrash metallers NME ingested enough drugs to believe that he was a robot. In an unfortunate turn of events, Struebing decided to cut his mother open with a hatchet and scissors to see if she was a robot, too. She was not, and Struebing was convicted of second-degree murder, serving 8 years in prison. 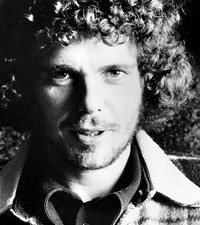 Struebing reformed the band upon his release, but died in 2005 by driving his car off a swing bridge in Seattle. Best known for writing songs covered by Nirvana ('The Money Will Roll Right In') and Green Day ('I Wanna Be on TV'), Fang singer Sam McBride went MIA after strangling his girlfriend during a heroin binge in 1989. Six months later, McBride was tracked down and apprehended in Alaska. McBride served a scant six years in a California prison for voluntary manslaughter before reforming Fang, who still occasionally play shows and tour. By the age of 22, the Burzum leader had burned down several Norwegian churches and stabbed his Mayhem bandmate Euronymous to death with a knife. 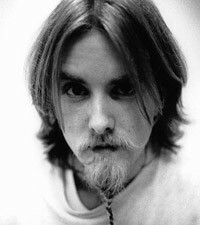 In addition to the murder conviction, Vikernes was convicted of four counts of arson and spent 16 years in prison, where he continued to record Burzum albums. Accused of Satan worship by mainstream media, Vierkernes claims he only burned the churches to bring Norway back to its polytheistic roots. Though you may not recognize his name, Gordon was an in-demand session drummer who played on recordings like the Beach Boys' 'Pet Sounds', 'The Notorious Byrd Brothers' by the Byrds, and George Harrison's 'All Things Must Pass.' In the '70s, Gordon played and recorded with Alice Cooper, Eric Clapton, Frank Zappa and many more. An undiagnosed schizophrenic, Gordon left showbiz in the late 70s and finally snapped in 1983, killing his own mother with a hammer and knife to appease the voices in his head. He was sentenced to 16 years in prison. One afternoon in Lillehammer, Norway, a homosexual man allegedly approached Emperor drummer Faust and offered to take a walk with him. The man's lifeless body was later found with 37 stab wounds and bruises from being repeatedly kicked. 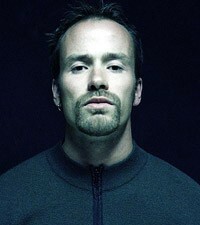 Faust was convicted of murder, jailed, and released in 2003 after serving only 9 years. 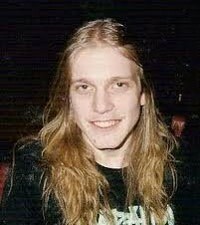 In 1997, the Swedish black metaller was convicted of being an accessory to the murder of 38-year-old Algerian immigrant Josef Ben Meddour. After being released from prison in 2004, Nodtveidt reformed Dissection only to be found dead two years later of a self-inflicted gunshot wound inside a circle of lit candles. Do we really need to go into this? From snorting fire ants to drunkenly urinating on the Alamo to out-partying Motley Crue's own Tommy Lee in the '80s, Ozzy Osbourne has done it all, seen it all, and lived to mumble the tale. In fact, researchers in England studied Ozzy's DNA to figure out exactly which genetic variations have allowed the rocker to survive 40 years of drug and alcohol abuse. 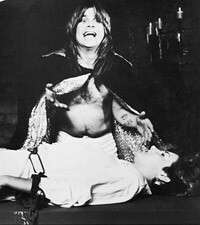 Incredibly enough, Ozzy has penned a health book called 'Trust Me, I'm Dr. Ozzy,' to be released this fall. Called "the most evil man alive" by Terrorizer magazine, the leather-and-spikes-clad Gaahl cuts an imposing figure that has provoked extreme reactions from townspeople in his native rural Norway. A few years after being jailed for assault, Gaahl imprisoned and tortured an intruder in his home for six hours, collecting his blood into a cup. 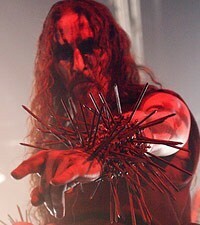 Gaahl explained his actions to the Guardian in 2005: "Everything deals with respect. The way I think of it is that you have to punish ... or teach, anyone that crosses your borders so that they won't do it again."